Just keeping up with your customers isn’t good enough in today’s fast paced business world – to stay competitive, you need to anticipate and be proactive. To stay out in front, you need comprehensive business management systems that support shared knowledge and consistent delivery. You need Sage software in Canada from IWI Consulting Group. Sage Enterprise Management or Sage EM (formerly known as Sage X3) is built for growth-focused businesses that want to lead through operational excellence – to meet and exceed the high demands of customers. 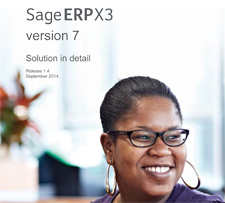 Sage EM (formerly known as Sage X3) makes data readily available across departments. Unite data access across departments including inventory, human resources, accounting, finance, manufacturing, and distribution. How long does it take you to pull up sales figures from your phone or at your desk? Companies with better access to data grow faster and reduce inefficiencies from labor costs to delivery times. Sage EM (formerly known as Sage X3) puts data in your employees’ hands faster. Get more done in less time. With centralized data, you can check on inventory, take orders, approve expenses or pull up-to-the-minute reports to make informed decisions on the spot. Get the insight you need, when you need it. Monitor everything happening in your business and dig deeper to reduce costs, manage risk and identify opportunities with Sage EM (formerly known as Sage X3). Take back control over your processes. Integrate your business processes into a series of workflows that support a single, coherent system. Go where your business takes you. Business is no longer confined to the office, so you need to put the full power of a first-class Sage EM (formerly known as Sage X3) solution in the palm of every employee’s hand. A Sage software solution will help you gain new customers by improving the service you provide. Deliver results faster and at a lower cost. Staying competitive and attracting customers in new markets means finding new efficiencies. Sage EM (formerly known as Sage X3) delivers the speed and efficiency your organization needs to monitor performance, cut costs, and improve your growth strategy. Insight into customer relationships to help you expand existing and new sales channels. Functional support to expand your business across locations, languages and currencies. Simple and flexible software that gives employees the tools to improve their productivity. 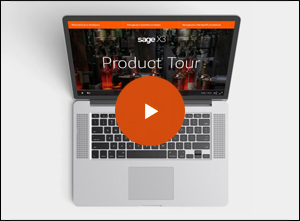 Sage EM (formerly known as Sage X3) uses visually-driven workflows in an intuitive interface that’s easy for anyone to quickly understand and interpret. Your organization spends a lot of time, energy, and money collecting data that helps you improve decision making. 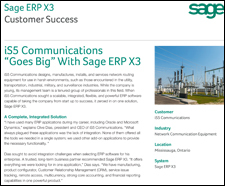 Sage EM (formerly known as Sage X3) puts that data in your employees’ reach with efficiency and simplicity. Get Sage EM (formerly known as Sage X3) and other Sage software in Canada to speed up your core business processes and increase productivity. 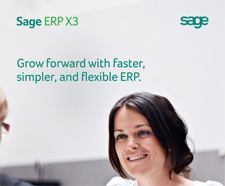 Sage EM (formerly known as Sage X3) lets you automate tedious tasks and communications. Time consuming tasks bloat your operating expenses and create waste. Small and medium-sized businesses with Sage EM (formerly known as Sage X3) reduce their operating costs by automating the flow of information. IWI Consulting Group will help your organization find the right Sage software solutions to reach its productivity goals. Once you have the right software, we can talk about fueling your business growth with Sage EM (formerly known as Sage X3). Start with a Free Business Systems Assessment and find out how IWI Consulting Group can help you make the right decisions to stay in front of your competition. We help your organization select and adopt new Sage software and put more power in your employees’ hands. Get in touch with any inquiries you have, and our team will assist you. Start growing your business with the right software.